Words cannot describe how blessed I am for Melinda’s talent and heart. From filling out my senior rep application, to serving as a senior rep and participating in community service projects with the other senior reps, to walking through a creek and enduring the summer humidity, or revealing my gallery in my home, I am grateful for Melinda’s willingness to capture these moments. Thank you for being a stepping-stone to make my senior year worthwhile. I was more than impressed with the quality of pictures she captured. Because of her talent and products, I will be able to share these pictures and reminisce for years to come. I cannot wait to work with Melinda again! Our wedding day was a rainy one. Something a bride ever dreams of. I knew it was just the way things were going to be, but when Melinda showed up with a cute clear umbrella in hand and said ‘ this is your wedding day and we’ re going to make the most of it!’ That really helped my spirits and those pictures ended up being my favorite! Melinda is an all around great person with everything she embodies: optimism, creativity, personality and natural talent. I can’ t wait to have a family so that Melinda can capture those moments too! Choosing Melinda as our family photographer was one of my best decisions! I have high expectations for our pictures and Melinda did not disappoint. She is so professional, yet flexible and personable. My family immediately warmed up to her because of her relaxed personality, which resulted in such natural, fun-loving pictures. She suggested unique poses and paid great attention to detail. We never felt rushed and she was so helpful when I was deciding which photos to purchase from all the many choices we had. She was AMAZING in every way and I would recommend her to everyone!! I was fortunate to work with Melinda twice! She really took the time to get to know us and what we wanted captured. She is very detailed and produces creative photos. Both sessions were comfortable and organized! Very pleased with the outcome of both our engagement and wedding photos! I look forward to working with her in the future! Choosing a photographer for our wedding was the most important part. I wanted someone to capture every special moment and the amount of love we share for each other. After researching many different photographers in the area, I found Melinda’s work to be the absolute best! Melinda’s talent is astounding! We loved everything about having Melinda as our wedding photographer. She did an amazing job capturing our special day by documenting so many special moments that will keep us reliving our day for a lifetime. Melinda was the best photographer we could have ever asked for to take my daughter’ s senior portraits. I loved that Melinda asked to meet with us before scheduling a session date and showed us all of her different collections and prices upfront. It was also an exciting opportunity for Marissa to be a Melinda Underwood Photography Senior Representative! My family looks forward to using Melinda Underwood Photography to capture more exciting memories!!! My senior picture session with Melinda was so much fun! Melinda has so much talent and loves what she does. Melinda’s unique personality made this experience an unforgettable one for sure. Her posing suggestions were great, and it was so easy to be myself. The final product was amazing and was everything we wanted. I would definitely recommend Melinda for any photography that you may need. Wow! Melinda is a natural. She made us feel comfortable and was focused on helping us have fun. Her personality is relaxed and welcoming. We are so thankful to have found such a wondering photographer to capture our family each year! If you are looking for a photographer, you have found her. She is absolutely amazing in every way possible. She photographed our wedding and I am beyond impressed. Totally worth it. Very nice, professional, organized, and punctual. She definitely knows what she’s doing and is the best in the business. We changed our timeline last minute and Melinda was so nice about it and worked with it so well. We will definitely book with Melinda again! I would give her a 30 star review if I could. Being able to have the opportunity for Melinda to take my senior pictures was such an awesome & fun experience! She made me feel relaxed & comfortable with myself while posing for pictures. I enjoyed the poses she suggested for me & loved the way they all turned out. The hardest part of it all was deciding what pictures I wanted to keep because I was in love with literally all of them!! I could not be happier with how well she worked with me. Thank you Melinda! Melinda, Thank you for making my Madalyn’ s senior photo shoot everything she had hoped it to be! 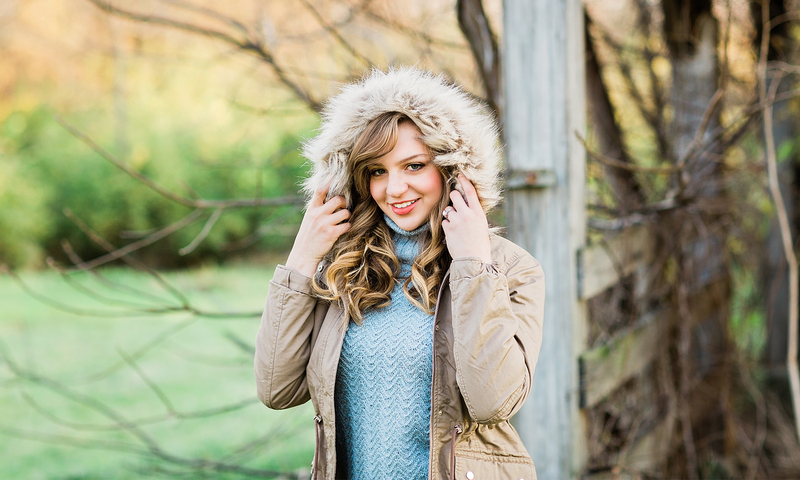 Madalyn loves her senior session album and professional products, as do we. Everything you do is a class act. From your photos, unique products, packaging, to your personalized thank you card. It has been a pleasure to work with you and we highly recommend you to others. Melinda did an exceptional job. The experience was great and the pictures were amazing. I love that she comes to you to capture the most beautiful pictures I have ever seen. I was so excited when I opened our session album and professional prints today. They were amazing! We highly recommend Melinda and her wonderful photography skills. Thank you again we love them! I am so thankful that I chose Melinda Underwood Photography to capture my senior pictures. Melinda’s willingness to go above and beyond is evident through all of her client’ s reactions when they finally see their gallery reveal!! The experience I had with her will be one I forever cherish and is why my family and I will continue to use MUP in the future!! Melinda was phenomenal to work with for our engagement photos! She arrived early, stayed late, and truly gave us all her energy and focus during our session. Not to mention she was extremely kind and has a great personality, helping to make our session flow smoothly and making both my fiancée and I feel perfectly comfortable. Melinda also was able to balance our desires for pictures with her own artistic flair. We were very happy to work with her! 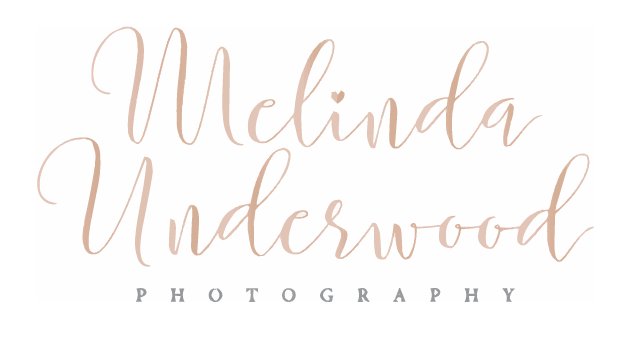 We strongly recommend Melinda Underwood Photography. It had been almost twelve years since having family pictures taken so when my wife told me we were signed up to have them done, I was not very excited. However, Melinda made the entire family feel comfortable through the entire process and it was actually very fun. Melinda was very creative with the background scenery and her ability to capture the entire family having fun and not just standing still and posing was fantastic. The results were amazing and we have wonderful family pictures proudly displayed throughout our home. I would highly recommend Melinda Underwood Photography to everyone! Thank you so much for the amazing photos of our sweet baby! We could not be happier with the ease of booking, your quick responses, professionalism, friendliness and your amazing talent and love of what you do. These photos will forever be cherished, I cried when I first looked at them. What a special time in our life and you captured it so perfectly.We would highly recommend Melinda Underwood Photography! My son had a wonderful experience with Melinda for his senior portraits. He was chosen as one of her Senior Reps and participated in the community service project with the team. Melinda was very imaginative with locations and poses. I love that we stayed local as there are a lot of beautiful places to shoot right here in Washington Court House. He expressed to Melinda that he wanted to incorporate pictures at the football field. Melinda captured all of the poses wonderfully and came up with some special things that we didn’t even know were possible. I would definitely recommend Melinda to any Senior! This was by far the best experience any senior and their family could have. From the moment Meghan was chosen to be a Senior Rep for Melinda it was nothing but kindness and over and above dedication to ensuring we got what we wanted for Meghan’s pictures. Every session was full of laughs and talks as well as encompassing what we envisioned for Meghan. Add that to Melinda’s natural talent and adding in her own thoughts and suggestions… she was always open to our suggestions and nailed the softball pictures! It was amazing and I would recommend her to anyone. Truly. From beginning to end, a phenomenal experience! Managing 6 adults, 3 teenagers, and 3 children for a family portrait could not be easy, yet Melinda pulled it off with ease! We told Melinda we wanted pictures that captured our style of living…relaxed and casual. Melinda checked out the environment we had chosen for our setting and quickly sized up positions and poses that would be best. Our pictures were ready in a timely manner and Melinda patiently walked me through the ordering process. Thanks Melinda. We will look forward to another session in the future! We have had Melinda take our family photos for three years now! My kids love getting their pictures taken with her. She’s amazing with them! She is very talented and we are always thrilled with our pictures. I wouldn’t want anyone else to capture our moments.